MERCEDES-BENZ has revealed its stylish new GLC Coupe SUV. The suave sibling of the regular bodied GLC is due for an update. The mid-size luxury high-rider is proof that SUVs are now the dominating force in Australia's new car market. In 2018 the GLC range outsold the stablemate C-Class range - which had been the best selling luxury vehicle in Australia for the previous decade. 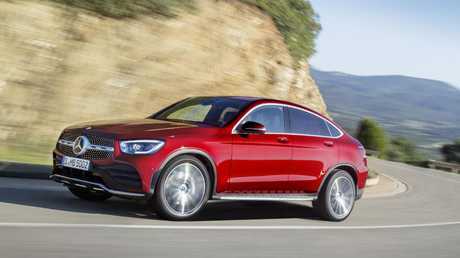 Mercedes has already announced the updates to the standard GLC and, to maintain its popularity, the brand has refreshed the head-turning coupe versions. Mercedes hasn't messed with the vehicle's winning formula too much, applying only minor exterior styling tweaks. 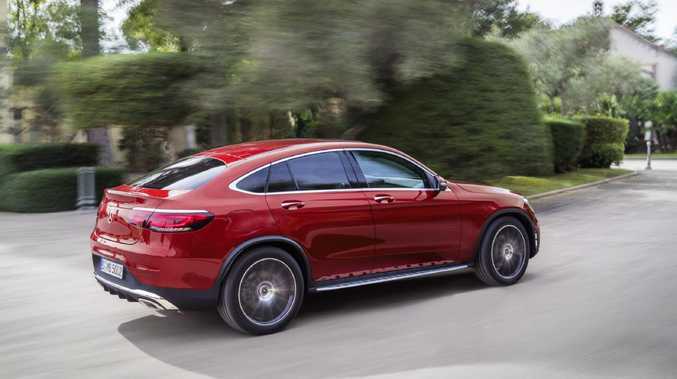 The GLC Coupe: Sleeker styling compared to its sibling. The biggest changes happen under the bonnet and inside with the installation of the brand's latest in-car tech. There will be two new petrol and three diesel engines in different states of tune. The headlining feature: all petrol engines now come with a mild hybrid set-up. The 48V mild hybrid technology works with a belt-driven starter motor that powers the electronics, provides short power boosts for the engine and allows the vehicle to coast with the engine off. All features combine to reduce fuel use and increase performance. The German maker is packing the Coupe with its latest tech including the new MBUX (Mercedes-Benz User Experience) digital assistant. MBUX responds to commands after a "Hey Mercedes" voice prompt and can control navigation, audio, climate and even read out text messages. 2019 Mercedes-Benz GLC Coupe has a more traditional screen layout. The GLC coupe misses out on the brand's new continuous dual screen - seen in the new A-Class - instead keeping the digital instrument display and infotainment screen separate. The Benz comes with a range of driver aids including autonomous emergency braking, adaptive cruise control and lane keep assist. The latter comes with an emergency corridor feature that's part of the semi-autonomous active steer assist. When deployed, it makes way on multi-lane roads to allow emergency vehicles to pass unhindered. Drivers in Germany are required to do this by law. The upgraded GLC is expected to land in Australia later this year. High-performance AMG versions will be announced at a later date. 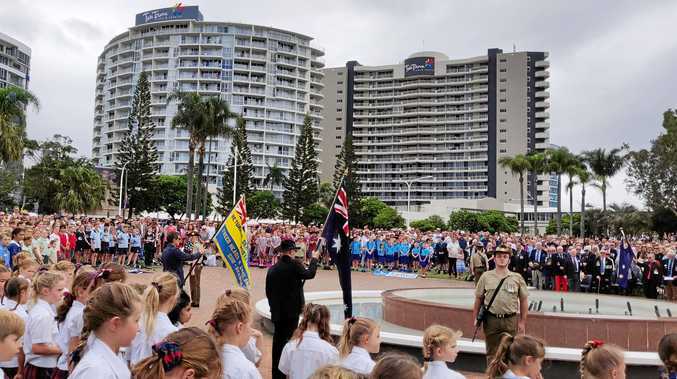 News Thousands of resident showed their support on Anzac Day.